Frozen yogurt has to be the best!! Ooh, I'm a serial dessert lover- I can't just name one! I'm also a fitness fiend/general healthy eater- lately I've been hooked on Brown Sugar & Cinnamon fiber one pop tarts. I'm a sucker for anything cinnamon, and while these are still horrendously "bad" for you...at least I'm getting some fiber? Hee. You're my total opposite ! My boyfriend is a huge sweet tooth ! He loves cheesecake and mochie (rice balls) the best though ..
the second best type of post after fashion is food. 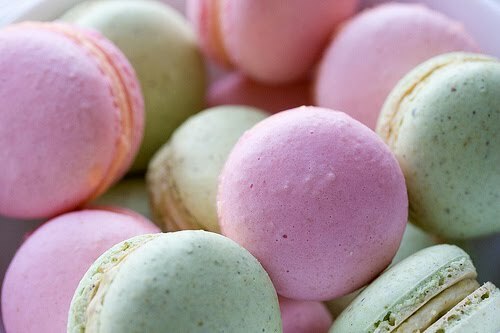 those photos of macaroons are to die for. I'm a recovering sweet tooth-aholic haha I've always had a thing for sweets but I'm trying to be better about it these days lol. I love apple pie w/vanilla ice cream (my absolute fav. ), english toffee, eclairs and frozen yogurt. oh yeah, krispy kreme original glazed donuts too. sigh. I love macarons ( LADUREE are the best) and cupcakes!!!!! They all look divine, the pics are fab! I'm a sucker (pun!) for anything sweet. I've eaten my body weight in candy corn this year. And now I'm fixated on candy canes (they're out now!) and Tootsie Pops. I go in cycles with my favorite candy. Mmm...delicious pictures! I love desserts. My friends believe it's my cookies that got my husbands heart. Hee. Oh, I love everything sweet, from cookies to ice- cream! Chocolate, macaroons and ice-cream will always make me a happy girl. Talking of sweet cravings, though. They may appear because a) the diet isn't well-balanced (then you may need to consult a nutritionist/dietitia) b) you are under stress, don't get enough sleep or simply tired. And I am telling you this not because I am "just a pretty face", but am actually a nutritional adviser, almost nutritional therapist. 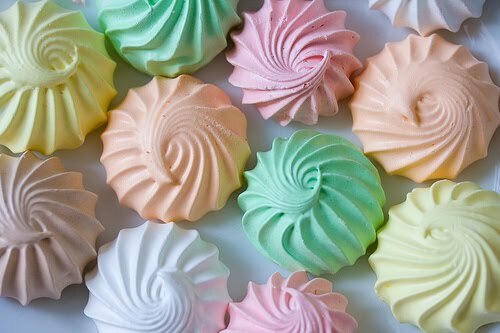 I love the pictures of the sweets - the colors are so beautiful. I favor a lot of basic sweets - cookies, brownies, cake. Nana's cookies are a great "healthy" option when you are trying to be good. They are delicious. Oh I could go on and on about my sweet tooth-it's going to be the death of me. I have to have something sweet after every meal. I love desserts. There are so many I love that it's hard to pick a favorite. Great photos. You've got me definitely craving something sweet now. I want those pastel lovelies!! So yummy! macaroons are equally as pretty as they are tasty! so sad I never made it to l'audree while i was in Paris! I have a totally sweet tooth. My favourite treat? Cookies. I love anything chocolate + peanut butter, ice cream, cupcakes of all kinds, and sour gummies! 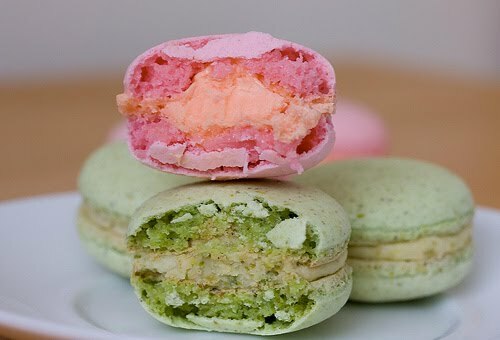 I go weak at the knees for rose petal flavored macarons. I've never had pumpkin pie but I am desperate to try it! ohmygoodness these look so good! I love meringues and macaroons, especially coconut... sigh. lately i haven't been a "treats" kind of person. but there is a french pateseria that i love here in town and they server everything that you have listed. Oh I wish I was a healthy eater...I come from a family of runners who eat ridiculously well and I'm the lazy bum with a rampant sweet tooth! i can taste the macaroons i ate in Paris last month still! i have NO idea what those first things are but they look disgusting (as in "i'm going to get cavities") and delicious at the same time! Goodness, me! I'm in "hog heaven" on this scrumptious blog. French macarons, eclairs, St. Honore, madeleines, praline millfeuille are my favourite. Anything French and rich and creamy makes my list, actually!